In this experimental work, we fabricated a flexible dye-sensitized solar cell with different counter electrodes. An electrophoresis method was served to deposition of TiO2 on the ITO-coated poly(ethylene terephthalate) (ITO–PET) as a flexible substrate. Also, a low-temperature process was used to sintering TiO2 particles. Three different counter electrodes namely Pt, multi-walled carbon nanotube and graphene were utilized in the flexible dye-sensitized solar cell. Cross section scanning electron microscopy (SEM) images were used to obtain the TiO2 film Thickness. Also, the surface morphology of the TiO2 and also Pt films were obtained by SEM images. The crystallinity of the prepared films was investigated by X-ray diffraction pattern. The optical properties of the TiO2 film were studied by diffuse reflectance spectroscopy. The flexible dye-sensitized solar cell was made by TiO2 film deposited on the flexible ITO–PET substrate, different counter electrodes, I3 −/I− electrolyte and surlyn as a sealer. The solar cell performance was investigated by short circuit current density–open circuit voltage curves. 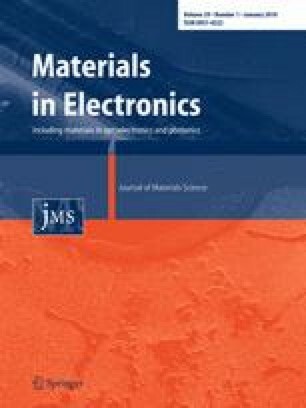 It was found that the fabricated flexible dye-sensitized solar cells had a good efficiency compared with rigid solar cells. Also, it was concluded that the solar cell made from Pt as counter electrode showed the best performance that is mainly due to the high catalytic activity of Pt respect to the other counter electrodes.